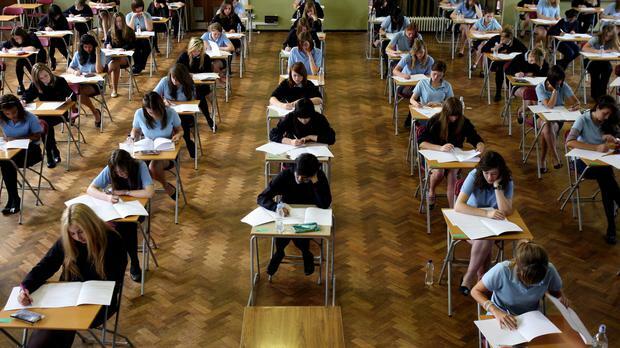 A pensioner created history by successfully sitting the Leaving Certificate exam at the age of 71. Denis North, from New Ross, Co Wexford, sat his history exam at the local Vocational College and got an A1. It was the second year in a row that Denis has sat a Leaving Cert paper and his hard work and dedication paid off handsomely. New Ross Vocational College principal Suzanne Barrett was full of praise for her school's oldest pupil, who she said was an inspiration to the other students who sat their exams this year. "He worked very hard at it and we are very proud of him," she said. "He proves that you're never too old to get back into education if you're determined enough." Speaking about his achievements, Denis was quick to play down the significance of it all. "I don't think too much about it to be honest," he said. "I improved on my result in the maths paper last year so that was good." With regard to his history A1, he said: "Well, I put a lot of work into it but I like history and have an active interest in it anyway." Not one to rest on his laurels, Denis has now set his sights on doing the Leaving Cert geography and English exams but plans to do it over two years. "I will do a lot of it in the school whereas over the last two years I did a lot of it under my own steam," he said. "Young people have a lot of pressure on them nowadays whereas for me, I'm retired and I am doing it just for myself. "I enjoy learning but young people's lives are dominated by what they get." He also complimented the staff in New Ross Vocational College and urged others to follow his path into education, no matter what age they are. "I looked at all my options and the Vocational College was the one I really liked. I'm very happy there. The staff there are excellent and really help you out," he said. "It's never too late to start, as far as I'm concerned, but I would also say that if you want to get into education, you have to commit to it all the way through." Denis is already looking forward to returning to the classroom. "At the end of the day, you will only get out of it what you put into it. You do have to work hard," he added.